A quad bike, mannequins and toilets were among the 600 items found in untaxed vehicles by the DVLA. From junk to valuable collectibles, the agency recovered a host of items belonging to drivers around the UK. Owners have a month to claim their possessions before they are auctioned off or binned. 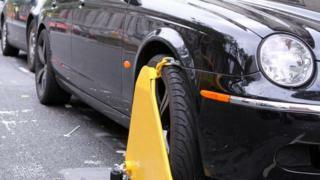 Head of Enforcement at the Swansea-based agency, Tim Burton, urged motorists to ensure their vehicles were taxed. Other items found in untaxed cars impounded over the past 12 months included half a corner sofa, Beavis & Butthead trading cards and three jockey's helmets. However, some more valuable pieces were also found, with musical instruments among the most common. A full drum kit with an amplifier set was found in one car, along with an acoustic guitar, stand and carry-case. A highly collectable Louis Wain book of illustrated cats from the 1920s, a Segway and a 32-inch smart LED TV were among the valuables as well. Mr Burton added: "While the vast majority of motorists do the right thing and tax their cars correctly, it is right that we take action against those that break the law and fail to tax their car."